Shop the Amazon link below and help keep your mailman, UPS and Fedex driver employed. One of the first things we purchased for the first bus after we got it home was a Tire Minder Monitoring System. We had heard stories about big buses having blowouts on the highway. And, a few stories of tow vehicles having a blowout then being dragged down the road, tires smoking by unsuspecting bus drivers. 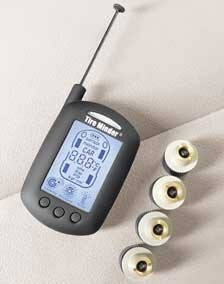 The Tire Minder system seemed like a good answer to that worry, as it monitors for pressure and temperature as well. It was easy to install, but a bit of a pain to program. When we traded buses recently, it was the first thing we gathered up and moved over to the new bus. You unplug it from the dash, and unscrew all the tire caps and move it along with you. A new Stone Cottage Quilt was the second purchase for the new bus. 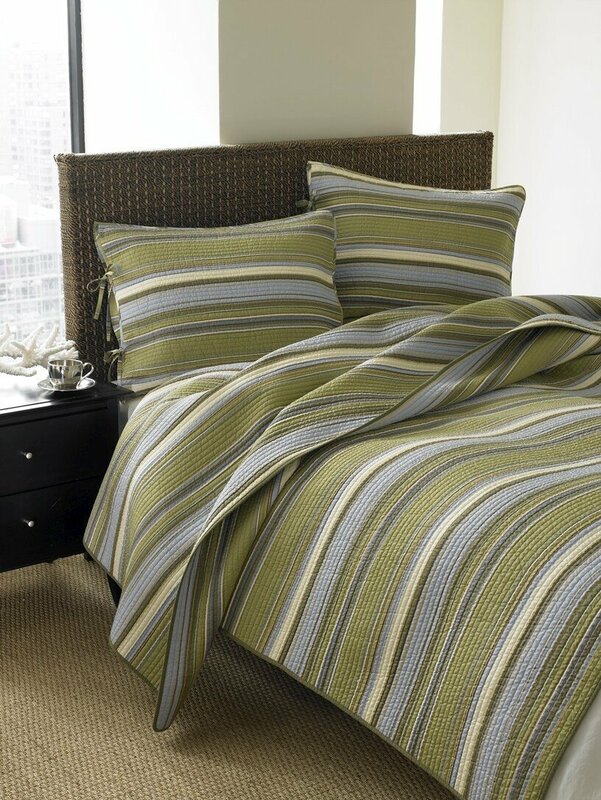 While I like the look of the factory provided bedspreads, I don’t like sleeping under them. I am a cotton person through and through. I read a few posts that said don’t ever get rid of the factory bedspread as it is an item that is asked for at trade in time, and seems to add value if you have all the factory stuff in great condition. So I always bag ours up and store in the quest room at home, replacing them with cotton or natural fiber products. I’ve shopped locally forever and couldn’t find what I wanted, so Amazon comes through again. I love Amazon. We will be adding to this page as we go along.